And indeed, this is not a specified way of constructing a Date - you don’t see it in MDN reference for Date. So what’s left is the case when an array is passed into Date. So what’s going on? A quick Google search turned up this StackOverflow result. The description slightly more involved than what we’ve seen, so in short, the [[DefaultValue]] of an array is the result of calling toString() on the array. I also wanted to see how the implementation is like so I went around digging. I thought I could find this in V8, but I only found a date.cc that didn’t seem to implement the Date constructor. 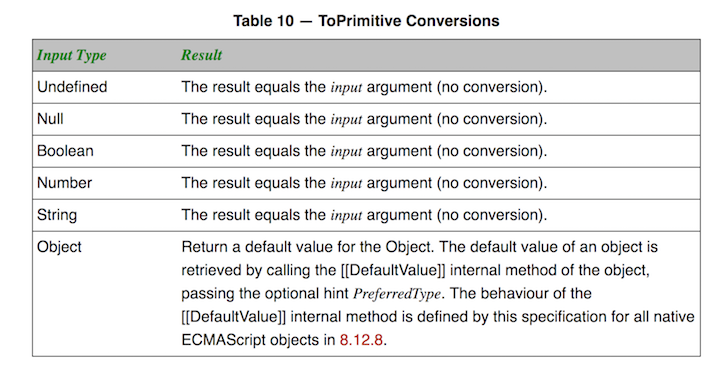 And if you’re willing to dig deeper, you can figure out how toPrimitive is implemented starting from builtins-conversion.cc in V8 and JSObject.cpp in WebKit.